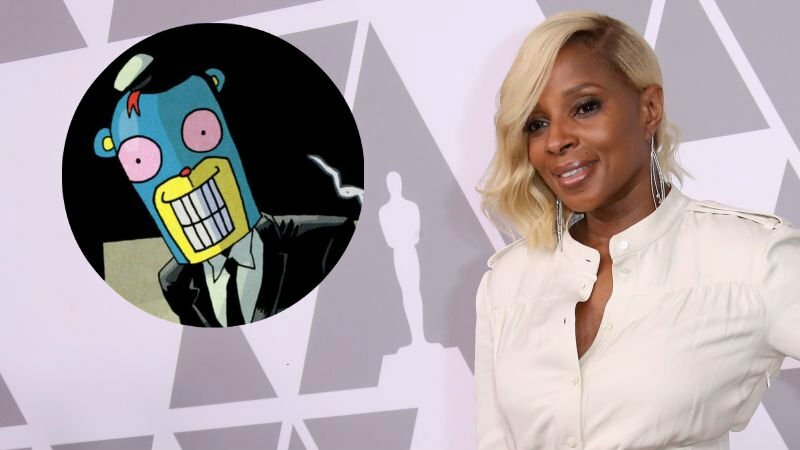 Netflix has announced nine-time Grammy winner and two-time Academy Award nominee Mary J. Blige (Mudbound) is set to join the cast of the upcoming The Umbrella Academy. Blige will take on the role of “Cha-Cha,” a ruthless and unorthodox hitwoman who travels through time to kill assigned targets. Even though she has a few gripes about the bureaucracy of her employers, this job is her life. She is sadistic, sociopathic, and her reputation precedes her. Her true love is torture, and she thinks of herself as a “pain artist.” She really doesn’t care for people—except for her partner Hazel. She joins a cast that includes Ellen Page, Tom Hopper, Emmy Raver-Lampman, David Castañeda, Robert Sheehan, and Aidan Gallagher. Based on the popular, Eisner award-winning comics and graphic novels of the same name created and written by Gerard Way (My Chemical Romance), illustrated by Gabriel Bá, and published by Dark Horse Comics, the live-action series follows the estranged members of a dysfunctional family of superheroes (The Umbrella Academy) – Luther (Hopper), Diego (Castañeda), Allison (Raver-Lampman), Vanya (Page), Klaus (Sheehan) and Number Five (Gallagher) – as they work together to solve their father Reginald Hargreeves’ mysterious death, while coming apart at the seams due to their divergent personalities and abilities. The Umbrella Academy is being produced by Universal Cable Productions. Steve Blackman (Fargo, Altered Carbon) will serve as executive producer and showrunner, with additional executive producers Bluegrass Television and Mike Richardson and Keith Goldberg from Dark Horse Entertainment. Gerard Way will serve as co-executive producer. The 10 episode first season of The Umbrella Academy is set to premiere in 2018.